As a mother of two children, I have become convinced that the summer between 1st and 2nd grade is a magical one; at least, it was for my kids. Grace preparing to attempt waterskiing. She didn’t make it up for very long, but I was so proud of her for trying! When my daughter, now 11 was much younger, she was afraid of water. You’d never know it now, but it’s true. She didn’t want to go near water without a life jacket. 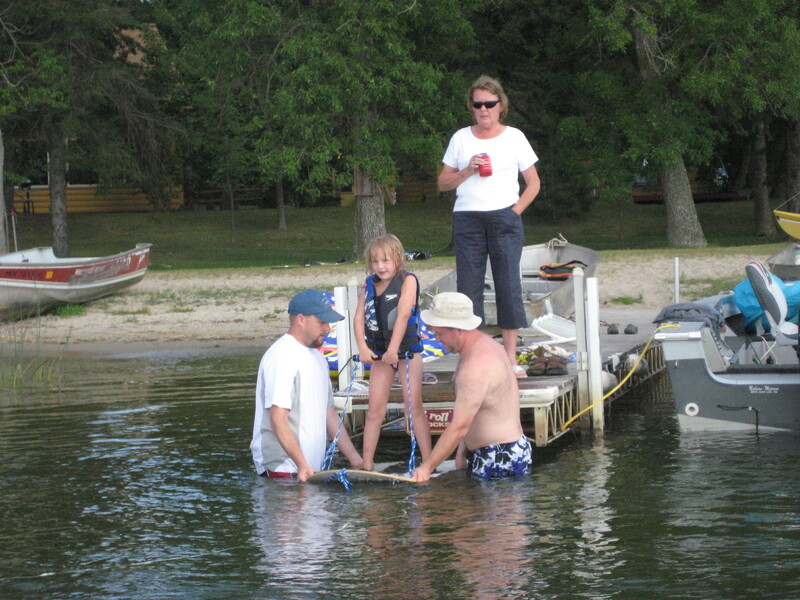 She didn’t want to be pulled on a tube, she barely wanted to ride in a boat. I tried swimming lessons with her several times, but she was always too scared, even with me in the water with her. Somehow, that summer after 1st grade, something changed. She finally gained a bit of confidence, and decided she could swim. After that, there was was no keeping her away from a pool! That summer, she even tried waterskiing, and riding on a tube behind a boat. She held on for dear life, but loved it. Now, if she’s on a tube, she’ll even jump off, just for fun. My son, now 7, is following the same suit. This past summer, he has finally decided it’s fun to ride on the jet ski (and even go fast). He is starting to swim without a lifejacket (though we’re still working on his skills). He’s finally deciding swimming is fun, and is trying more and more. He’s also ridden in a tube this summer, and enjoyed it. Another area both of my kids grew tremendously the summer between 1st and 2nd grade was in riding their bikes. I remember thinking that Grace would never take those training wheels off! Finally, when she was 7, we did, and she was riding like a pro in no time. Riding her bike around our cul-de-sac became her favorite past time (besides dancing). 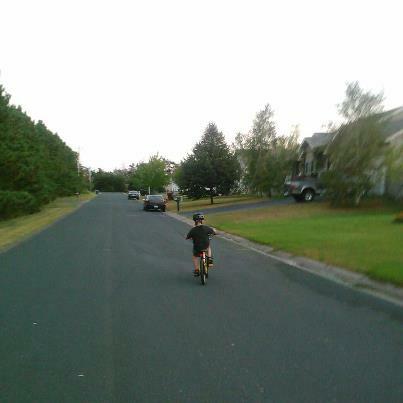 Finally, at age 7, Michael has the confidence to ride without training wheels. Michael is, once again, following his sister’s path. I think he’s been ready to have his training wheels off for a couple of years. He did not agree. We tried once, he did ok, but wanted the training wheels back on. As much as he loved riding his bike, when I didn’t put them on, and he quit riding, I decided it was worth putting them back on for a while. Last summer, with all the moving, wedding, vacations, etc, he barely had a chance to ride his bike. This past weekend, we took his bike down, took the training wheels off, and within minutes, he was riding down the street on his own. In the past couple of days, all he wants to do is ride his bike! Even when he wiped out and had blood dripping down his leg, he didn’t even cry. Our next step for my little guy is tying his shoes… most shoes are velcro these days, so there hasn’t been a need. Its time he learn to tie. If it’s anything like other things we’ve tried this summer, he will get it in no time! I’m not sure what it is about the summer between 1st and 2nd grade, but it has proved to be a summer of huge growth for both of my kids.